Purpose: Remanufactured products, in addition to being environment friendly, are popular with consumers because they can offer the latest technology with lower prices in comparison to brand new products. However, some consumers are hesitant to buy remanufactured products because they are skeptical about the quality of the remanufactured product and thus are unsure of the extent to which the product will render services when compared to a new product. A strategy that remanufacturers may employ to entice customers is to offer warranties on remanufactured products. To that end, this paper studies and scrutinizes the impact of offering renewing warranties on remanufactured products. Specifically, the paper suggests a methodology which simultaneously minimizes the cost incurred by the remanufacturers and maximizes the confidence of the consumers towards buying remanufacturing products. 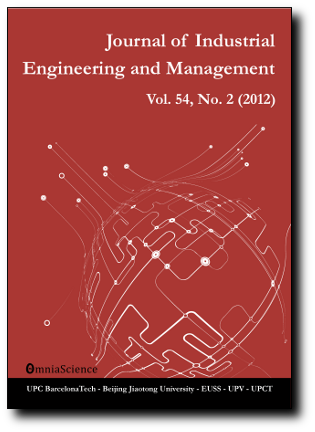 Design/methodology/approach: This study uses discrete-event simulation to optimize the implementation of a two-dimensional renewing warranty policy for remanufactured products. The implementation is illustrated using a specific product recovery system called the Advanced Remanufacturing-To-Order (ARTO) system. The experiments used in the study were designed using Taguchi’s Orthogonal Arrays to represent the entire domain of the recovery system so as to observe the system behavior under various experimental conditions. In order to determine the optimum strategy offered by the remanufacturer, various warranty and preventive maintenance scenarios were analyzed using pairwise t-tests along with one-way analysis of variance (ANOVA) and Tukey pairwise comparisons tests for every scenario. Findings: The proposed methodology is able to simultaneously minimize the cost incurred by the remanufacturer, optimize the warranty price and period, and optimize the preventive maintenance strategy resulting in increased consumer confidence. Originality/value: This is the first study that evaluates in a quantitative and comprehensive manner the potential benefits of offering warranties with preventive maintenance on remanufactured products.